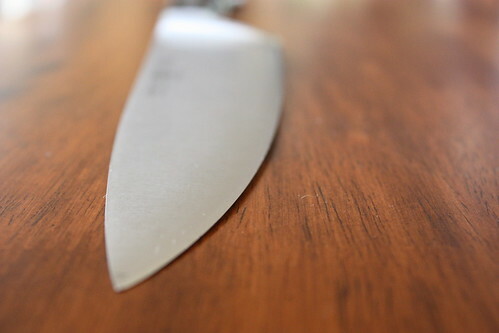 this delightful blog called tea & cookies posted a very interesting, if detailed, post about the importance of sharp knives and how to maintain them. yeah i like sharp knives but the upkeep for them is a little bit beyond me, ask bobby. and i basically use a paring knife for practically everything.